1) Prepare the mortgage and an extra copy for chargor and delivery to chargor. The term, charge and mortgage are synonymous. Beginning in 2010, banks began offering a collateral mortgage as well as the traditional, standard mortgage. Howard Nightingale can help you to decide which one will better meet your needs. Searching title using the Ontario Land Registry records is the single most important safety mechanism available for the purchaser. This ensures that you will have free and unencumbered ownership and title of the land and home you are purchasing. Along with investigating the title of the property, searching for what is called a Writ of Execution can save the client money and aggravation. A Writ can be filed against any person, corporation or legal entity owning property and in a debtor position. If you purchase a property with a writ of execution filed against it, you become responsible for the debt. This must be discovered and resolved before closing. 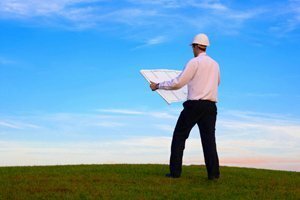 A property or land survey isn’t always available, but can be helpful in certain situations. The survey is a map of the property and structures on the property. It clearly defines the boundaries and legal aspects such as easements and right of ways. It tells you, for example, if an existing fence is on your property or your neighbours, or, if you plan to build a fence, the precise location of the property lines. Title insurance may be a remedy if no survey is available. 5) Discuss with the mortgagee all issues related to the title such as reporting and giving an opinion on title. For many people, purchasing property is the single most important investment they are likely to make. Their financial future as well as general peace of mind depends on making a legally sound purchase. Mortgages, finances, title searches, writ of execution searches and so on, add complexity to the transaction. As in all aspects of life, it is important that you are informed, especially if decisions need to be made. Once all of the results of Howard Nightingale’s preparation work are assembled, he will meet with the clients, review the documents, answer their questions and resolve any concerns.